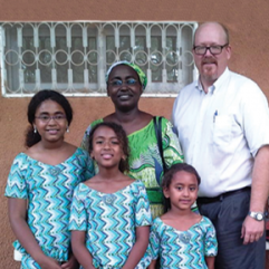 In 2008, First Presbyterian formed a partnership with Tom Johnson, a community development specialist in Niger serving (at that time) under a joint sponsorship arrangement between the Presbyterian Church (USA) and the Reformed Church in America. Tom and his family work in conjunction with the Evangelical Church of the Republic of Niger (EERN) at the Dagon Gao Bible School. He has been instrumental in setting up agricultural endeavors to help the school and community become self-sustaining. 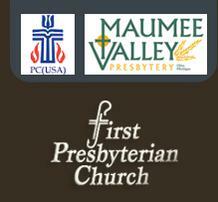 Through the world-wide mission of the Presbyterian Church (USA), First Presbyterian is linked to partner churches and mission personnel serving Christ around the world. Our congregation has adopted special partners that we financially support and remember in prayer: In addition, we participate in various other global mission opportunities such as the "30 Hour Famine" and the "Heifer Project". In 2011, First Presbyterian had the privilege of hosting learning from Andrew and Holly Haas during their furlough in the states. Andrew and Holly shared with us just how they do their part to help TWR fulfill its objective "to assist the Church worldwide through Christ-centered programming and outreach opportunities that focus on ministry initiatives encompassed in the Mission’s Global Strategic Plan." We were also introduced to the importance of understanding how the Gospel can most effectively transmitted in cultures with an oral tradition. 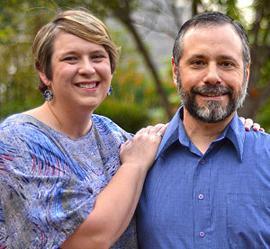 The partnership and support we share with Andrew and Holly makes it possible for us to help send the Good News of Jesus around the world in powerful ways that meet each individual culture's needs.